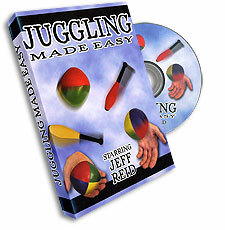 Professional juggler Jeff Reid teaches you all the tips and techniques to transform you into an expert juggler. Jeff has been entertaining audiences for 30 years, and you'll love his high-energy performance. If you have ever wanted to juggle, here is your chance to learn from a professional entertainer.